Get ready to pump it up this summer, because Elvis Costello’s hitting the road again. Rolling Stone reports the elder statesman of rock has announced a 20-date tour with The Imposters that will kick off in early June. This is technically the second half of a trek he launched last fall, “Imperial Bedroom & Other Chambers,” and he’ll continue to draw inspiration from Imperial Bedroom to get things started. 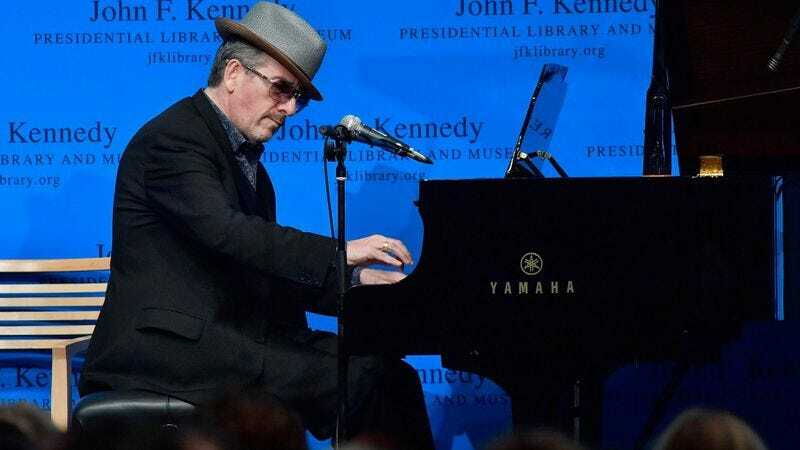 Although that album is now 34 years old, Costello said in a statement that the two legs of his new tour aren’t just a nostalgia trip; he’s learning something new about these old tracks as he plays them. We never intended to recite this book from cover to cover. Listen to our new arrangement of “Tears Before Bedtime”—it gets straight to the real meaning of that song, the way we hear and feel it today. Back in 1982, I might have been a step or two ahead of our crowd in the tragic, romantic stakes, but I sense that they’ve all caught up with me now. You’ll find the complete list of dates below. Presale tickets are already available for purchase on Costello’s website.